來自美國俄亥俄州的女將 Katie Arnold 將加入 Stanridge Speed ，來看看他的車衣跟戰車是不是帥透了啊! 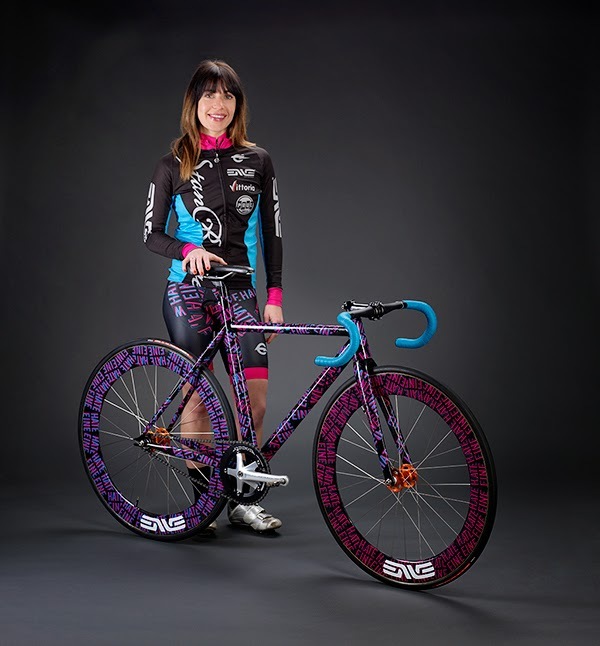 Ohio based Stanridge Speed is excited to announce the arrival of Katie Arnold to the team as it heads into its 3rd season competing in the Red Hook Criterium series. Arnold will join previous RHC winner and Cat 1/Pro; Evan Murphy at the start line in NYC this weekend. This years’ Red Hook Criterium program began in October of last year while in Shoreditch, London visiting Death Spray Custom. Ben Eine’s work on Mother London caught the eye of Stanridge Speed owner Adam Eldridge. After returning to the states, Ben was contacted and it was on. Ben hand painted both frames for the event. This year ENVE Composites, Paul Components Engineering, and Vittoria have joined as new team sponsors while Endo Custom remains as the jersey maker. Riders will use a variation of the iconic Stanridge HSP MKII (pictured) during the series to showcase a team who competes at the highest level of Fixed crit racing.